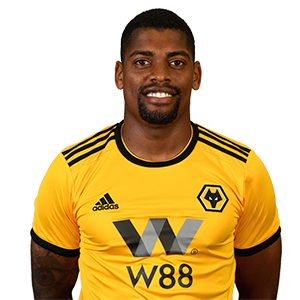 The attacking performances of Ivan Cavaleiro during 2017/18 were a major factor in Wolves’ promotion-winning campaign. In his second season at Molineux, the wide man netted nine times and made a further 12 assists as Wolves achieved Premier League football. The senior Portuguese international broke through at Monaco and then came a move to Ligue 1 and Champions League football at Monaco, where he spent a year before getting his break in English football. The youngster’s first season at Molineux saw him make 32 appearances, scoring six goals in the process. His debut came against Burton Albion in September 2016, with his first goal following 14 days later at home to Brentford. Last season he was the PFA Player of the Month for November and was a regular under Nuno Espirito Santo. This term, the winger recovered from injury to net his first Premier League goal against Southampton.